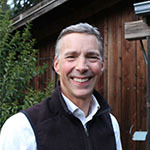 Alan Haight has farmed since 2001 at Riverhill Farm in Nevada City, California. Over the years, Riverhill’s diversified production of mixed fruits and vegetables has been highly regarded as a local provider of quality organic fruits and vegetables. Riverhill Farm is a community-based farm and is a meaningful part of the local food economy, with 85% of the farm’s produce sold within ten miles of the farm. The remainder is sold within the County in the Truckee area. Alan believes there is great economic promise, hope and beauty manifest in small farms, and is intimately familiar with the challenges which the current generation of community-based and regional market farmers face in establishing and managing an economically viable farm. Committed to making a difference, Alan has led workshops on farm business planning and management at the annual EcoFarm conference, through UC Cooperative Extension, the California Small Farm Conference, and through the multi-county Farmers’ Guild/CAFF Farm Business Entrepreneurial Intensive workshops. Retired from farming as of the end of 2017, Alan has joined the FarmLink board to ensure farmers have every opportunity to achieve and maintain economic viability through access to land, capital and technical assistance. Marisa has worked to support new farmers with training in farm economics, marketing, and production for two decades. She is the Apprenticeship Program Manager at the Center for Land-Based Learning’s California Farm Academy (CFA). Marisa is currently developing one of the first registered apprenticeships in agriculture in the state, which trains individuals for the occupation of a Beginning Farm and Ranch Manager. She also develops the curriculum for CFA’s Farm Business Incubator program, and acts as a mentor to incubator farmers. Marisa worked for 7 years at the National Center for Appropriate Technology’s ATTRA Project with underserved farmers in California, helping them understand what it takes to achieve profitability. Apart from being a farm educator, Marisa has also farmed herself over the years, as an apprentice, a farm partner and a farm manager. In the past Marisa also managed a small farmer marketing cooperative in Ohio and helped launch one of the first successful farmers’ markets in her hometown of Austin, Texas. Marisa received a B.S. in Plant Science from Cornell University, and a M.S. in Horticulture & Agronomy with an emphasis in Viticulture from UC Davis. She lives in Winters with her husband who is a partner at Terra Firma Farm, where they grow 200 acres of certified organic fruits, vegetables and nuts. Marisa joined the FarmLink board in 2018 to follow her passion for helping small farmers find a path to economic viability. 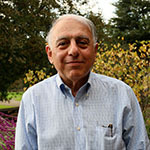 Retired bank executive, and consultant for financial institutions and nonprofits, Larry joined the board in 2013 and serves as chair of the Loan Committee. He was born and raised in the Bay Area and has lived there all of his life, other than a year in the Middle East and a decade of graduate school and non-profit work in Los Angeles. Upon returning to the Bay Area 30 years ago, he began a career in commercial banking, first at Wells Fargo, then at Greater Bay Bank, Tamalpais Bank, Santa Barbara Bank and Trust, and Mechanics Bank. Larry’s focus has always been on business lending to small and mid-sized companies and non-profits. He has a strong commitment to these Main Street organizations as the fundamental drivers of employment, economic opportunity, and social mobility for Americans of modest or limited financial resources. This is no truer than in the field of sustainable agriculture, which can offer individuals and families an entrée to the wider opportunities of our society. Larry has a BA in History from Stanford, and an MA in History and an MBA from UCLA. He lives in the redwoods of the Santa Cruz Mountains in San Mateo County with his wife and is active in the launch of a triple-bottom-line microbrewery in Oakland, Federation Brewing, with his son and business partner. Having served on the loan committee for micro-lending at Opportunity Fund, Larry was enthusiastic to join Farmlink to help expand its micro-lending program for farmers. Kate Danaher is a sustainable agriculture finance expert who focuses on funneling capital into rebuilding regional food systems and creating high-integrity supply chains. As senior director of lending and integrated capital at RSF Social Finance, a San Francisco-based financial services organization dedicated to revolutionizing how people work with money, Kate oversees a significant food and agriculture portfolio. She helps RSF assemble diverse sources of capital tailored to help social enterprises scale while maintaining their mission. Thanks in part to Kate’s work, RSF has financed more food hubs (aggregators and distributors of regional and sustainable food) than any other organization in the U.S. In total, she has had a hand in financing $47 million to some 50 pioneering enterprises, including Equal Exchange, Guayakí, Grass Roots Farmers’ Cooperative, Hawthorne Valley Association, Theo Chocolate and Veritable Vegetable. Every day Kate’s work contributes to a more just and sustainable food system. In addition to her work at RSF, Kate serves on the California FarmLink board of directors, speaks frequently at national impact investing and sustainable food and agriculture events, is a mentor for the Food System 6 accelerator, sits on the investment committee for the LIFT Economy’s Force for Good Fund, and has served as a judge in the Fish 2.0 competition for sustainable seafood businesses. She contributed to the 2017 Federal Reserve publication Harvesting Opportunity: The Power of Regional Food System Investments. Her work has also appeared in Triple Pundit and the Huffington Post, and she’s been quoted as an expert source by Civil Eats, GreenBiz, Forbes, AgFunder and others. Prior to joining RSF in 2012, Kate worked in economic development in western Colorado. She received her MBA from Colorado State University in the Global Social and Sustainable Enterprise program. Rob is Managing Director at Agriculture Capital and leads its sustainable agriculture strategies and joined the FarmLink board in 2017. He believes that food is inherently a triple-bottom-line business: by growing crops that improve the land we create healthy foods that nourish the body and deliver long-term financial rewards. This basic principle has fueled Rob’s passion for food and agriculture. Rob has over 30 years of experience in the food and agricultural industries distinguished by his ability to build value through the development of transparent supply chains that deliver on a clear consumer promise. As CEO of Niman Ranch, Rob created the industry’s leading premium meat brand by building a network of over 500 sustainable farmers who, under common quality and husbandry protocols, supply the nation’s finest restaurants and retailers with extraordinary pork, beef and lamb. The company was one of the first to construct a vertical supply chain to capture consumer premiums and return them to the farm. At Attune Foods, a company Rob founded in 2006, he built on the idea that simple ingredients can deliver great health and constructed a business that was subsequently acquired by Post Foods to be their strategic platform in the rapidly growing natural food segment. 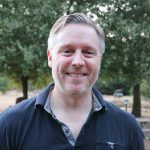 Rob also serves as a volunteer advisor with Inner City Advisors in Oakland, a community organization creating accessible good jobs that lead to equitable communities. Rob loves to run, ski and spend time cooking for his family. He has a BA in Psychology and Social Relations from Harvard College. Chris Mittelstaedt founded The FruitGuys in 1998 as a way to bring healthy food to hard working people in offices. He has served on the FarmLink board since 2014. He grew up in the Philadelphia area where he learned about business and customer service while owning and operating a franchise of College Pro painters during his university years. Today some of his hobbies include: dressing as a banana while passing out fruit to people on the street; writing about the farmers and fruit that appear in The FruitGuys boxes, designing and patenting the earth friendly packaging used by The FruitGuys and promoting health prevention as a path to better health care. His fondest FruitGuys memories include being asked to leave a building because his banana costume wasn’t formal enough, watching all the kids of FruitGuys employees jump in a bouncy-house for “bring your kids to work day” and talking with customers nationwide about how The FruitGuys has changed their corporate culture for the better. Chris lives in San Francisco with his wife and three children who remain his most critical and trusted fruit tasters.